February 2, 2017 — Lumos Helmet has received the London Design Museum Beazley’s Designs of the Year Award. The prestigious annual Beazley’s Designs of the Year award by the London Design Museum is an exhibition featuring 70 designs nominated by academics and industry experts. Experts are asked to put forward designs that “promote or deliver change, enable access, extend design practice, or capture the spirit of the year and the issues that define our time.” Out of these 70 nominees, the Lumos Helmet has been named the award winner in the transport category! 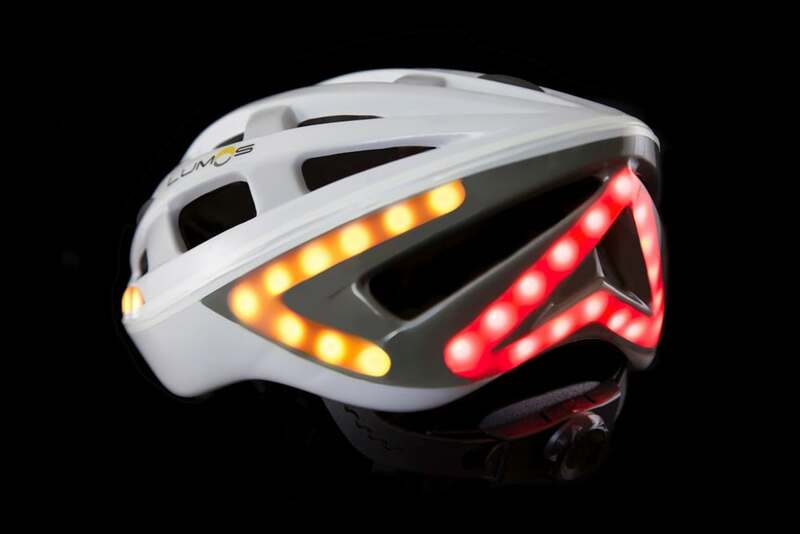 Lumos is the world’s first smart bicycle helmet to integrate lights, brake, and turn signals. Designed specifically with urban cyclists in mind, Lumos is the ultimate bicycle helmet to help cyclists stay safe and dramatically enhance their visible on the road. Lumos has garnered multiple awards for its groundbreaking innovation including Cycling Weekly’s Best Cycling Innovations, Eurobike 2016 Best in Show, and The London Design Museum’s Beazley Design of the Year award. Launched to the world on Kickstarter, Lumos took the cycling world by storm, raising $800K over a 30-day campaign. Lumos is a new and innovative bicycle helmet designed to improve your visibility and ability to communicate your intentions to motorists when riding in traffic. Lumos is the world’s first urban bicycle helmet to feature lights, brake, and turn signals beautifully integrated into the helmet. Lumos is the ultimate urban bicycle helmet combining bicycle safety and visibility with state-of-the-art technology. Find out more at Lumos.